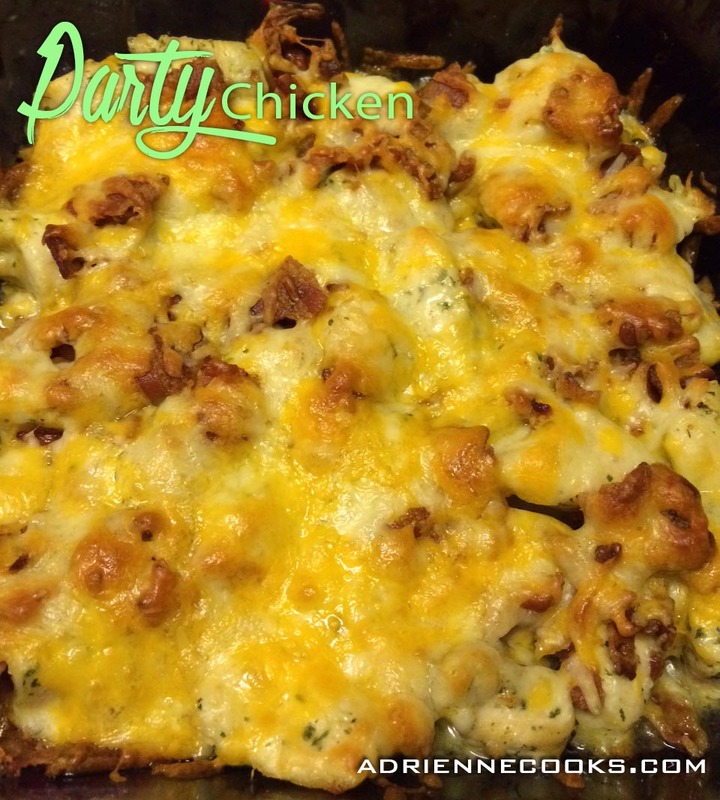 Cheesy, bacony, savory bites of awesomeness: party chicken. 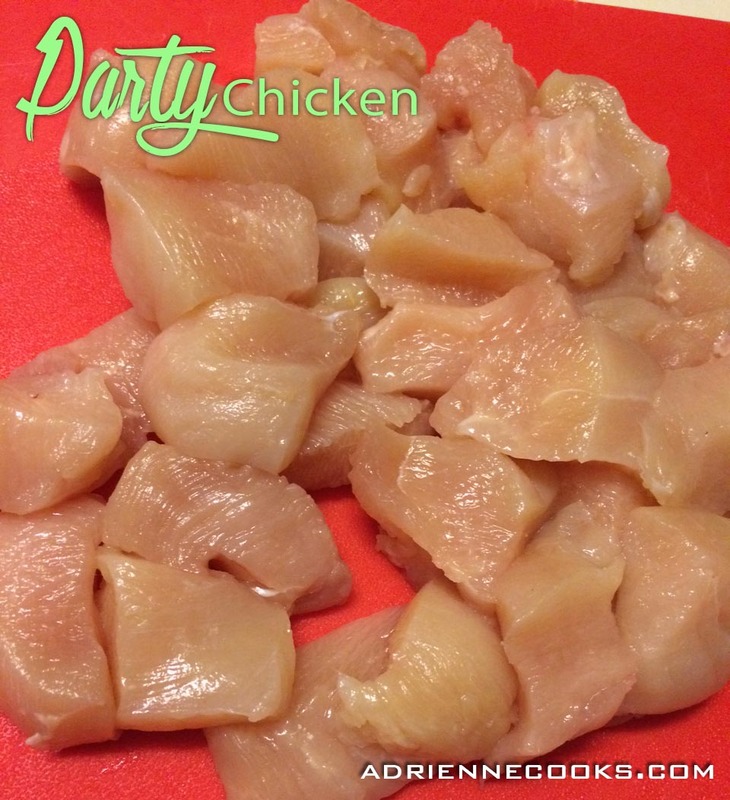 Why is it party chicken? 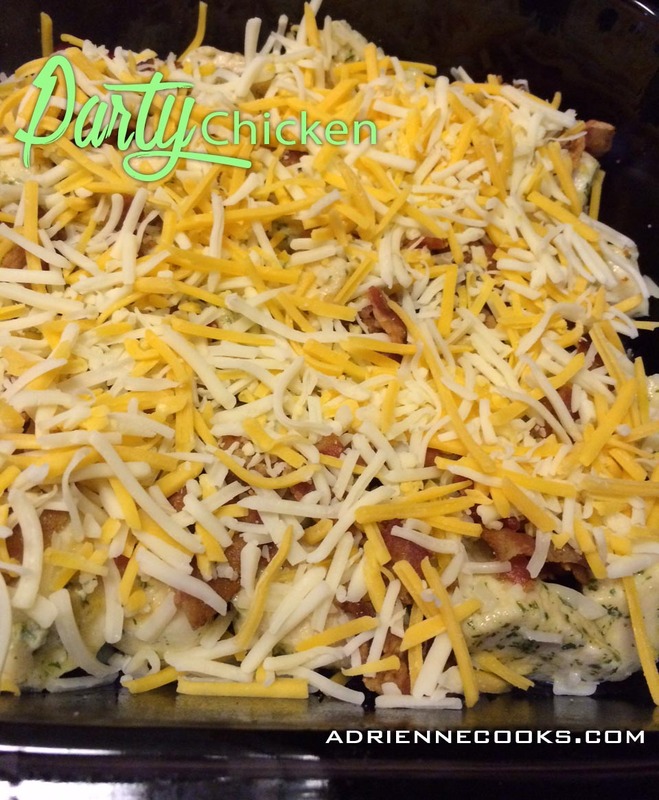 Well, it’s a party in your mouth, good to serve at a party, and quick to make if you’re preparing to attend a party. That’s like party X3. Party cranked up to 11. 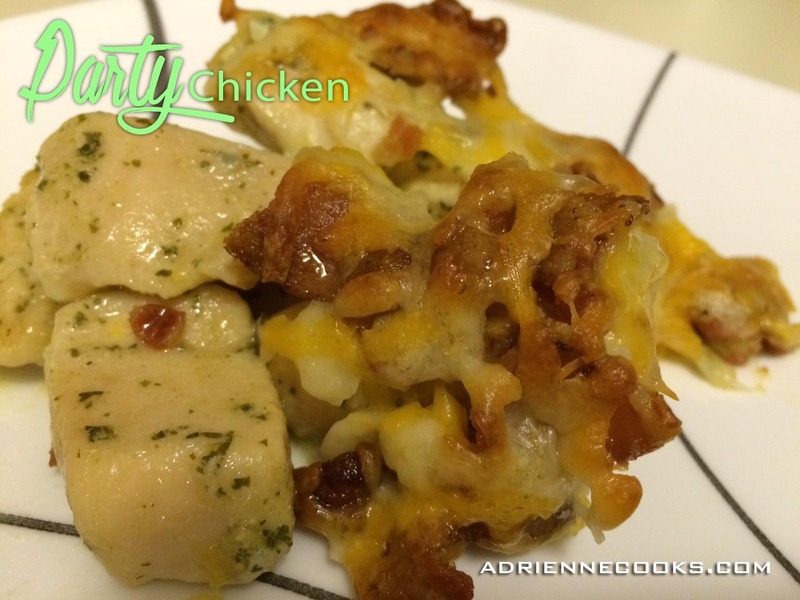 Did I mention its low carb and gluten free? Yup. Sometimes it’s nice to just throw some stuff in a pan and be rewarded with a really good tasting dish. That’s what this is. Good tasting and easy. 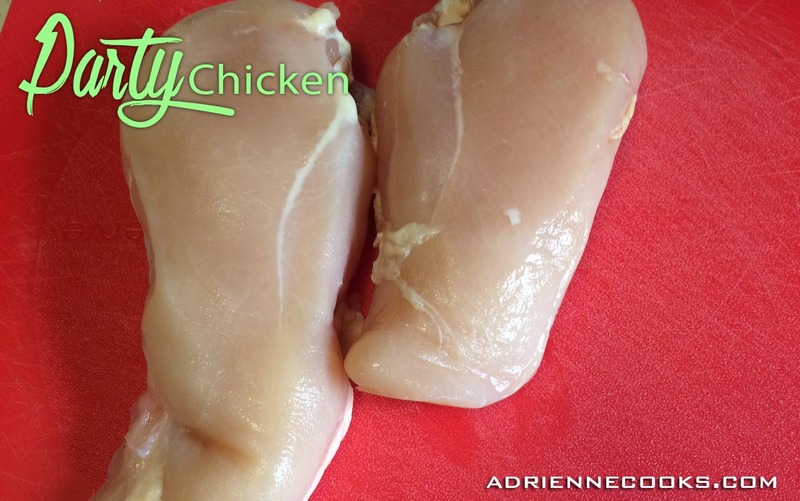 Cut your chicken breasts into cubes. 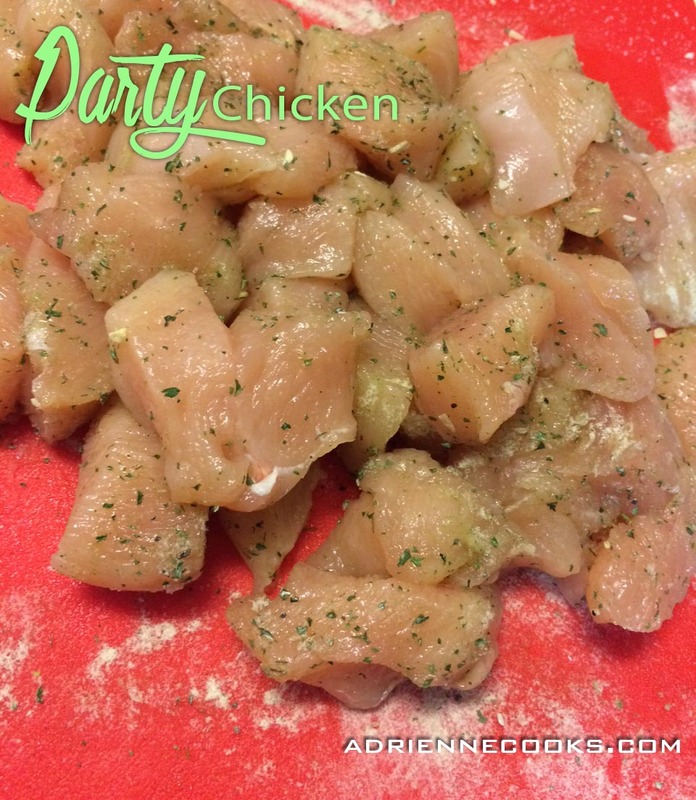 Salt, pepper, and season chicken with ranch seasoning mix. 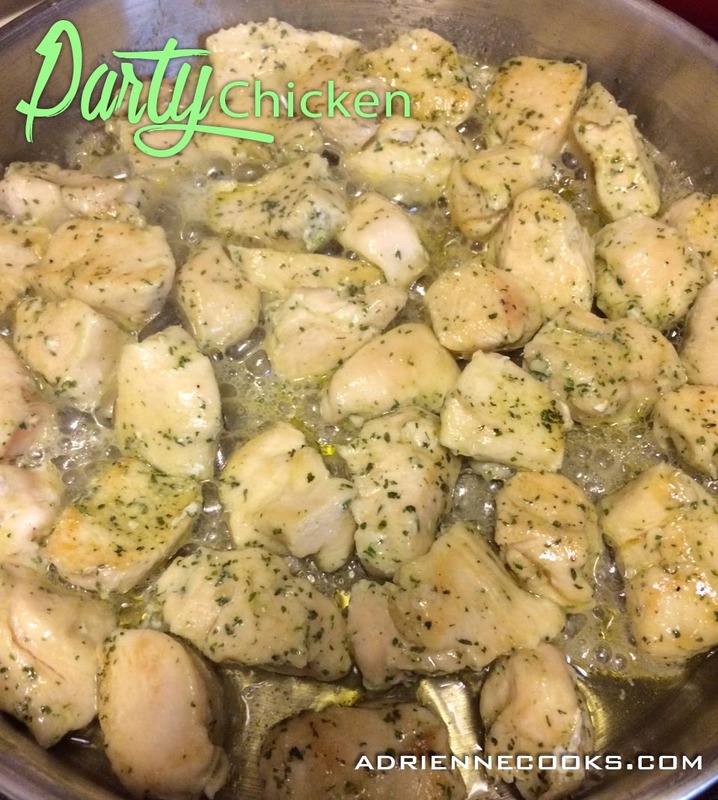 Heat oil in large skillet over medium high and sauté chicken cubes. Lightly brown each side, no need to cook through. Remove to 8×8 baking dish. Sprinkle bacon crumbles over chicken, then sprinkle with cheese. Enjoy! For even more ranch flavor serve with ranch dipping sauce, or try sour cream. Delish! If serving for a party, serve warm with toothpicks.